Posted under Parents' Articles. Updated 2 December 2016. You may have heard about the gluten free diet on TV or read about it in a magazine or online. Despite what some people may think, the gluten–free is not a weight loss diet. 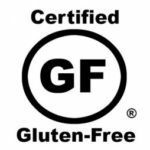 The gluten–free diet is a diet recommended by a health care provider for people who have been diagnosed with celiac disease, an autoimmune disorder that’s triggered by gluten, or with non-celiac gluten sensitivity. If your teen has been diagnosed with celiac disease, he must follow a gluten–free diet to heal his body. This guide was created for you and your family to help navigate the gluten–free diet including how to avoid gluten, how to identify gluten–free foods, and how to adapt to a gluten–free lifestyle. Gluten is a protein complex found in the grains wheat, barley, and rye. Flours made from these grains are commonly used to make foods such as breads, cereals, pasta, pizza, and baked goods. The gluten in these foods gives them the elastic texture and it helps provides the structure of the food. Anyone with celiac disease should follow a gluten–free diet. 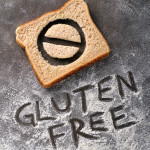 If your teen’s health care provider tells him that he has gluten sensitivity he should also follow a gluten-free diet. Celiac disease is an autoimmune disorder that is triggered when gluten–containing foods are eaten. An autoimmune disorder is one in which the body’s immune system attacks an organ. When a person with celiac disease eats a food with gluten in it, the immune system launches an attack against the small intestine which damages the lining of the intestine and decreases nutrient absorption. Noticeable symptoms of celiac disease include diarrhea, abdominal pain, weight loss, nutritional deficiencies, anemia, poor appetite, delayed growth, and delayed onset of puberty. Some teens will have almost no noticeable symptoms, but their health care provider may detect low bone density. Gluten is harmful for someone with celiac disease. Following a gluten–free diet prevents harm to the small intestine and allows it to heal. The gluten–free diet should stop your teen’s symptoms of both celiac disease and gluten intolerance. Gluten sensitivity, also called non-celiac gluten sensitivity or gluten intolerance, can be diagnosed if a person does not have celiac disease or a wheat allergy (both of these tests are negative) but they have some similar symptoms and they feel better when they are on a gluten-free diet. While someone with gluten sensitivity will have similar symptoms as a person with celiac disease, they do not have the same intestinal damage. It is unclear whether people with gluten sensitivity need to be as strict about adhering to a gluten-free diet. There is no definitive test for gluten intolerance. If you think that your teen might have celiac disease (or an allergy to wheat or gluten sensitivity), he should consult with a medical professional rather than simply avoiding gluten. A health care provider will want to have testing done while he is still eating gluten in order to give him the best medical care. What foods should my teen avoid? Remove grains that contain gluten from his diet. He should not eat any food that contains wheat, barley, or rye. Keep in mind that wheat has many forms. He should avoid products that include bulgur, durum, graham, kumut, spelt, and semolina. These are all forms of wheat! If you ever see this label on package, it tells you that the product contains wheat and isn’t gluten free. Look for “hidden” sources of gluten. Your teen should NOT eat foods that have gluten–containing ingredients listed in certain products such as: ale, barley, beer, bleached flour, bran, bread flour, brewer’s yeast, brown flour, brown rice syrup, bulgur, couscous, dextrin (unless source gluten-free), durum, farina, farro, hydrolyzed vegetable (wheat) protein, gluten flour, graham flour, granary flour, groats, harina, kumut, malt, malt extract, malt syrup, malt vinegar, matzo, modified starch (unless source gluten-free), rye, orzo, semolina, self–rising flour, spelt, smoke flavoring, soy sauce, triticale, wheat germ, wheat and white flour, whole meal flour, and vegetable gum. Your teen should not eat any obvious gluten containing foods such as: bagels, breads, beer, cakes, candy, cereals, crackers, cookies, dressing, flour tortillas, gravy, ice cream cones, licorice, malts, rolls, pretzels, pasta, pizza, pancakes, sauces, stuffing, soy sauce, veggie burgers, vegetarian bacon/vegetarian chicken patties (many vegetarian meat substitute products contain gluten) and waffles. Please note this is NOT a complete list. Why should my teen omit barley from his diet? Barley contains gluten and is frequently used to make malt. This is often used as a sweetener flavoring. As a general rule you should avoid natural or malt flavorings. If there are foods your teen likes to eat that contain “natural” or “malt” flavorings on the ingredient list, contact the company to see if these flavorings came from a non–gluten source. Does my teen need to avoid oats? Oats may contain gluten because they are often processed in the same factories as wheat. It’s best to check with your teen’s health care provider to see if he can eat traditional oats or if you need to look for certified gluten-free oats. To find out if your teen’s favorite brand of oatmeal is gluten-free, call the company of check their website. Some brands, such as Bob’s Redmill, Glutenfreeda, and GF Harvest make oatmeal that is certified gluten-free. When eating out or when in doubt, avoid oats. What foods are safe to eat on the gluten–free diet? Many foods are naturally gluten–free, including milk, butter, cheese, fruits and vegetables, fresh meats, fish, poultry, eggs, beans, nuts, seeds, corn, quinoa and rice. While most breads, pastas, cereals and baked goods contain gluten, there are several grains and flours that are also naturally gluten–free which can be used to make breads, cereals, pastas, snacks and baked goods – and many pre-made products on the market are made from these grains and flours. Think of these grains and their products as “green–light foods” which are safe to eat on the gluten–free diet. In the sample ingredient label below, the ingredients are circled in red, and the allergy statement is circled in blue. The food, which contains whole grain wheat, is a “red–light food”. There is also a symbol that may appear on packaging of gluten free foods, which the Gluten Intolerance Group has deemed “Certified Gluten Free.” This symbol represents that the food manufacturer has applied for and been granted certification of the product’s status of gluten-free, by submitting test results showing that there is no gluten contained in the product. How can I make my kitchen gluten–free? There are two basic approaches to preparing gluten-free food in your kitchen when your teen must follow a gluten-free diet. Both approaches present different challenges, but both allow for your teen to safely eat gluten–free. Some families choose is to make their kitchen completely gluten–free. This approach requires you to throw out all gluten containing foods and sanitize or purchase new cupboards, cooking equipment, and utensils. Where can I buy gluten–free foods? Eating and cooking gluten–free has become much easier than in the past as more companies now make gluten–free foods. You can purchase gluten–free breads, rolls, pizza–crusts, buns, bagels, donuts, cookies, muffins, pretzels, cereals, and desserts online or in most major grocery stores. How do I shop for gluten–free foods? Many grocery chains carry the gluten-free brands mentioned above. The products are commonly found in the aisles that contain natural and organic foods or they may even have their own section, labeled “gluten free foods.” It’s also important to remember that most of the fresh foods found along the perimeter of the store (outside aisles) including fruits, vegetables, meat, poultry, fish, and dairy are naturally gluten–free. Rice, beans, peanut butter, nuts, cooking oils, and corn and rice cereals are also typically gluten–free. Watch for possible gluten cross–contamination. This means foods that have gluten in them that have come in contact with gluten-free foods. Be aware of gluten cross–contamination at deli’s, buffets, and salad bars. How can my child stay gluten–free while eating away from home? Encourage your teen to eat breakfast at home or pack him a gluten-free breakfast to eat at school or on-the-go. Work with your teen, his nutritionist and/or school nurse to find gluten-free foods on the school breakfast and lunch menus. Help your teen pack a gluten-free lunch in an insulated bag to eat at school or on-the-go. Buy gluten-free snacks such as fruit, cheese sticks, trail mix, snack bars, popcorn or nuts that he can eat away from home. If you are planning to go out to eat at a restaurant with your teen, either choose one that has a gluten-free menu or speak with the restaurant manager to identify gluten-free menu items before ordering. Remember to tell the manager or chef that both the meal and its preparation must be gluten-free. More and more restaurants are gluten-free friendly and making it known on the menu. However, because “gluten-free” in some instances is seen as a trend rather than a medical necessity, it is important to tell the server or manager your level of sensitivity rather than just ordering something labeled gluten-free. Some restaurants are easily able to make modifications to meals even if they do not have a separate gluten-free menu. When in doubt, always ask, even if the meal appears to be gluten free on the menu; usually not all ingredients are listed on a menu. What else do I need to know about the gluten-free diet? A gluten-free diet is not always a healthy diet. Some people who follow a gluten-free diet may not get enough of certain nutrients, vitamins and minerals in their diet such as fiber, iron and calcium. Also, some gluten-free products can be high in calories and sugar. If your teen must follow a gluten-free diet, it’s best to meet with a nutritionist to develop a healthy, balanced diet and to identify if any vitamin or mineral supplements are necessary. It is not suggested that people follow a gluten-free diet if not medically necessary. There are many hidden sources of gluten both in food and non-food products. Gluten is also found in foods such as candy, sauces, soups, and marinades. Remember to check products such as toothpaste, mouthwash, lipstick/gloss, stamps/envelopes, glues, supplements, vitamins, and both prescription and over the counter medications. These are frequently overlooked sources of gluten. Medications: Both prescription and over-the-counter medications may contain gluten. For over-the-counter medications, check with your pharmacist. With prescription medications, ask your child’s health care provider to specifically state, “Medication must be gluten-free” on any prescriptions. Envelopes: Envelopes may have a gluten-containing adhesive. Your teen use self-adhesive versions or use a sponge to wet the adhesive. Soaps, Shampoos, and Lotions: Many of these products contain wheat or oat. While gluten cannot be absorbed through the skin, it is important to be aware of this, especially if your teen has a habit of biting his finger nails or touching food after putting on lotion.